Well the news is out, MS CRM 2011 Beta has arrived. You can read the Microsoft Press release here. Microsoft have delivered an exceptional product and I’m sure everyone who will be reviewing the CRM 2011 Beta will not be disappointed. Feature rich and overloaded with extras way beyond CRM 4. Check out the links below to find all the info you’ll need to get started. 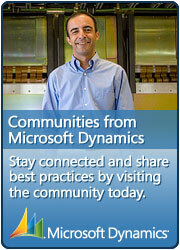 Sign up for CRM 2011 Beta Online. If you would like to see a great video presentation of CRM 2011 by Senior Technical Product Manager Eric Boocock go here. This entry was posted in Information, MS CRM and tagged Beta, CRM, CRM 2011, CRM 5, Demo, download, Microsoft Dynamics CRM 2011, MSCRM 2011, SDK on September 9, 2010 by Rhett Clinton MVP.